Socks and Puppets, the comic » 644- What Makes a Man Turn Neutral? 644- What Makes a Man Turn Neutral? If you would like a copy of the document to print out and pin to noticeboards around Pokestops (that’d be pretty funny seeing what people do about it) you can get a PDF copy Here – or feel free to re-write in your own (probably less long-winded than mine) style. 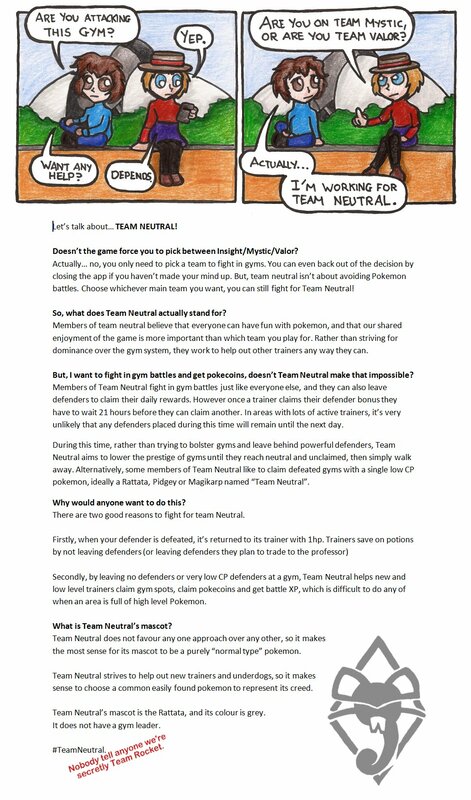 Team Neutral is the best team.